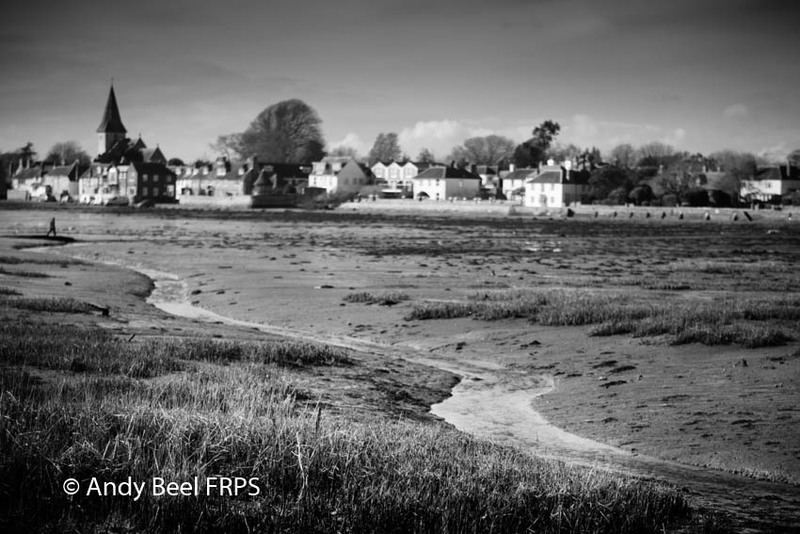 Last week I spent a few days down in West Sussex around Chichester. 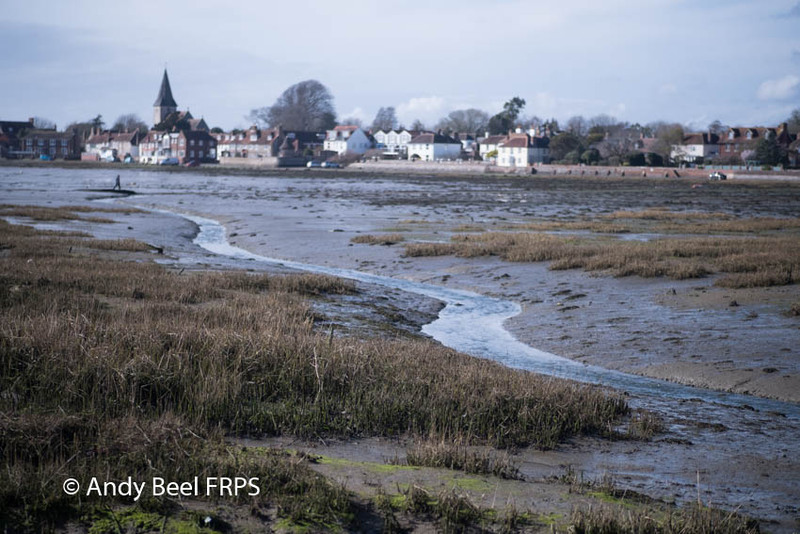 The great attraction for me in the area is Chichester Harbour with all its creeks and inlets. 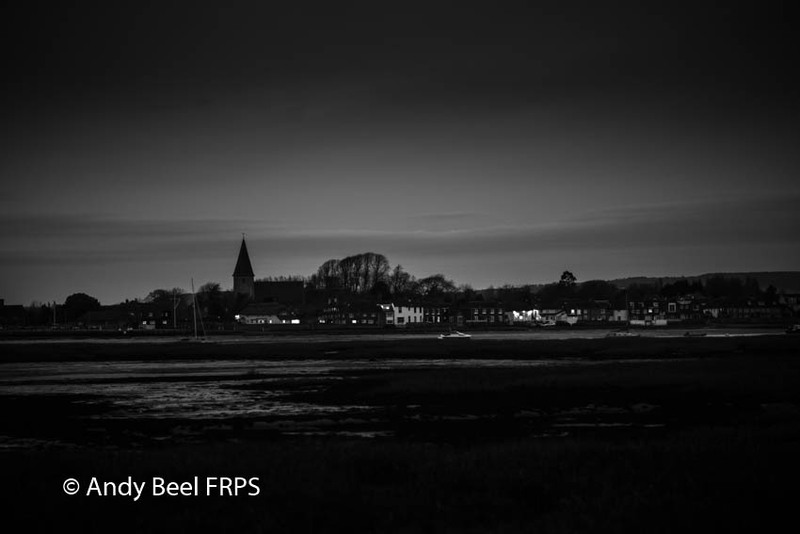 The most famous of all these locations is the village of Bosham with its iconic church spire. The previous day I had been selecting the RPS Digital Imaging Group print exhibition in Reading, so I drove down to Chichester that evening. 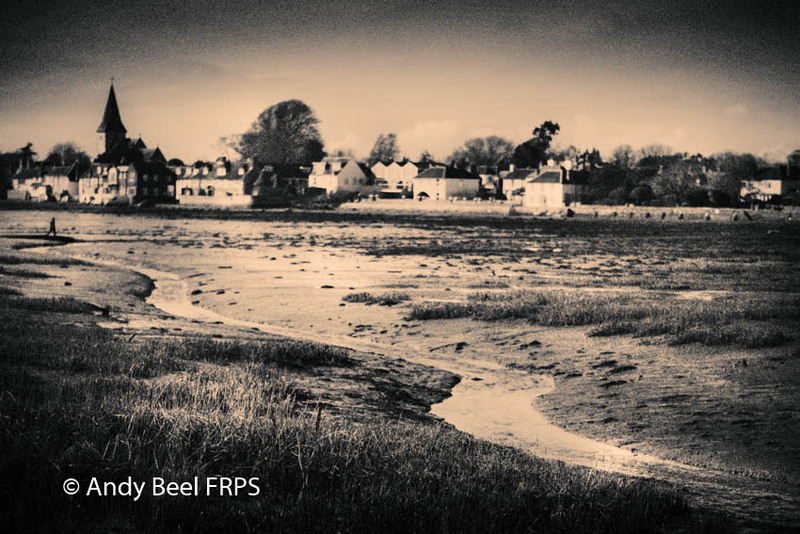 I arrived about 5:30 in the afternoon as Bosham is not very far from Fishbourne where I was staying to capture the last of the evening light. It so happened that the tide was out and as the light level fell and the house lights on the opposite bank came on it created a mood. I was keen to try out the new Fujifilm X-H1 as the level of light dropped. The point of buying the camera was to use the in body image stabilisation. The picture shown here is the last in the sequence of 12 taken as the light fades at 6:30 pm so it’s practically dark. The exposure with the 50 (75)mm lens was 1/10 Sec f1.2 800 ISO taken from inside the car as the temperature was just above freezing. I’m going through a process of learning what the practical slowest shutter speed is for the range of lenses I have. 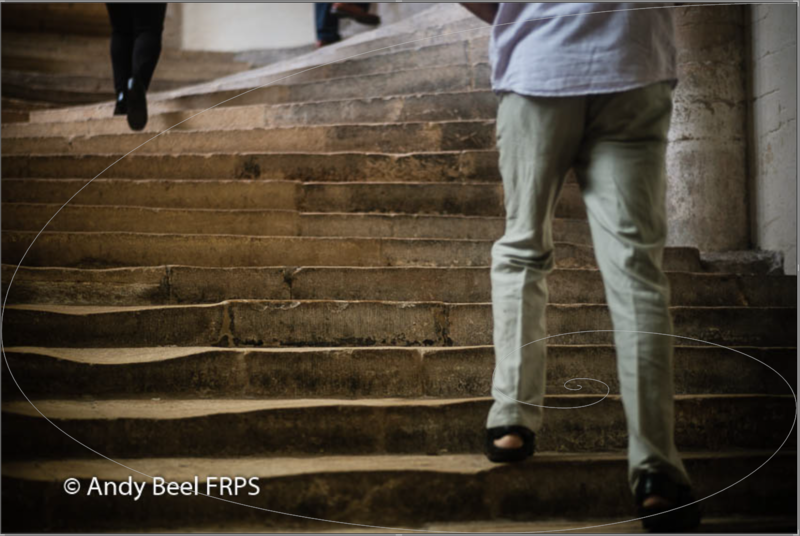 For me, it is important to do my practising and experimentation in the learning-zone when it is not important to get the shot absolutely right first time. We all need to give ourselves time to perfect technique when it is not vitally important get it right. When a great picture appears the more practised and competent I will be to get the shot right first time. I was invited to give a talk to Chichester Camera Club so I felt it was appropriate to make some new prints. Those of you who follow my Instagram page will be aware of the work there. 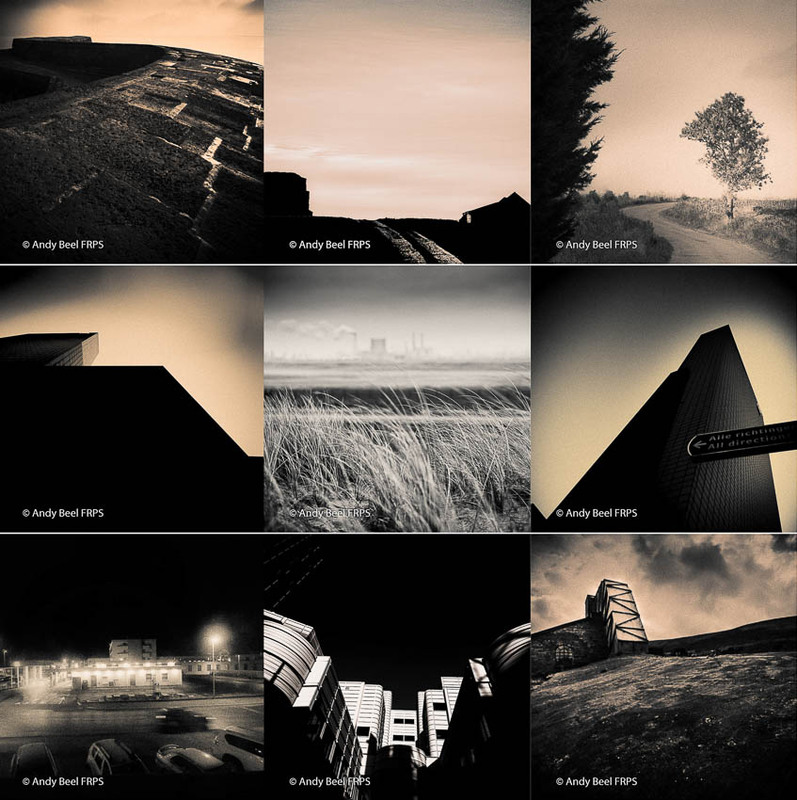 I chose 18 pictures and printed them on Fotospeed Platinum Etching paper. Those of you who have seen a print presentation by me will know that I like to work in panels of prints and not rely on single images. From the 18 pictures I made of two panels of nine in a 3 x 3 grid. What became clear to me when I was arranging pictures in the grid was that as a natural preference I easily make pictures that fit well into the left-hand or centre space. I do not naturally recognise pictures that easily fit into the right-hand side of a panel of prints. So my task for the time in Sussex was to train myself to look for and take right-hand pictures as well as left-hand pictures. Left-hand pictures are a staple of my picture templates that I easily recognise. So the feature shot of this post above was a conscious effort to take more right-hand pictures. Here is the feature picture as taken in camera followed by a straight conversion to black-and-white. Hopefully, you will recognise the digital Lith version of the feature picture for me conveys more mood and atmosphere injected by the postprocessing. A sunny spring morning does not have to be portrayed as such. I’m offering very affordable and high-value one-day workshops in photographic composition to help you get the strongest picture in camera.